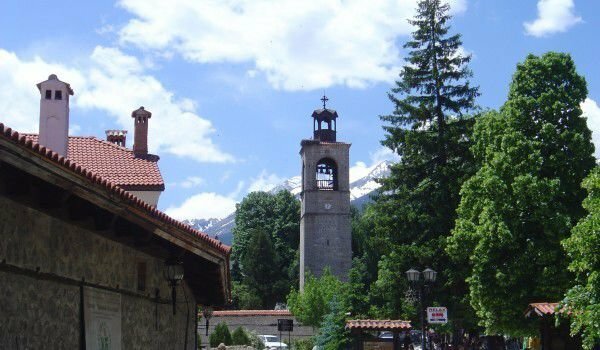 Bansko has preserved the spirit of the Revival period and has been subject to a high tourist interest in recent years. The narrow cobblestone streets, houses with massive antique wooden doors and long eaves, thick walls invoke a sense of antiquity and integrity of this small mountain town. Bansko has captivated the spirit of the area, with its beautiful scenery which is highly respected. Walking the quiet streets of Bansko, you will feel at peace with the Pirin mountains. There are several small taverns, restaurants, discos and cafes, that makes your stay at the resort an unforgettable experience. 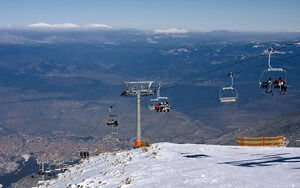 During the winter when there is snow on the Pirin, the population of Bansko doubles, with many guests from abroad and Bulgaria. Bansko is a town which has retained its own history and authenticity in architecture, lifestyle and customs. The Pirin slopes are wide and well maintained, modern lifts and resort, which in no way inferior to the larger ski resorts in the world. In 2006, British newspaper The Guardian, ranked Bansko sixth in the world among winter resorts. One of the most attractive sights is the Holy Trinity Church. It was built back in 1835 and is one of the largest churches without a dome built on Bulgarian lands during the Ottoman rule. In beautiful and tidy yard of the church was built a 30 meter tower with a clock. Bansko is not only a mountain resort with numerous pubs and hotels in Bansko among beautiful scenery, it has a unique atmosphere created and maintained by historic, architectural and cultural heritage. Good cuisine and countless entertainment and visitors. In the summer Bansko's skiers are replace with jazz and bagpipes. Annually there are events like the Jazz Festivals, summer theatres, between the three mountains and many other sights have attracted numerous visitors for years. Besides the magnificent Pirin and many beautiful landscapes, Bansko is rich with its historical places. If you have not yet been to Bansko then you are missing an exciting experience, because Bansko is a combination of a ski resort with stunning scenery, old town and a great atmosphere. Bansko is an ideal place for a year round vacation and for the most discerning of visitors.